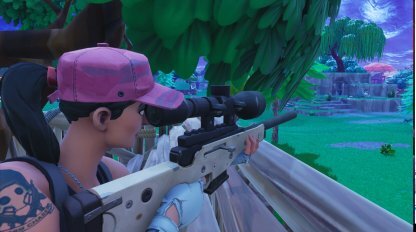 Find out about damage, rarity, & magazine size of the Sniper Rifle weapon class in Fortnite! Sniper Rifles are extremely deadly at long range capable of doing massive amounts of damage with a single shot. It has one of the highest accuracy in the game and can land successful headshots at distances. 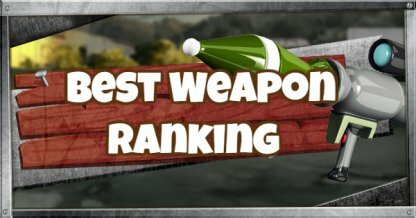 Sniper Rifles are among the hardest weapons to use in the game. 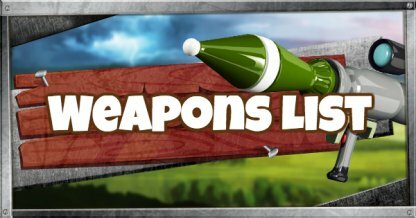 Unlike other guns, Sniper Rifles shoot projectiles that take time to travel to targets and can drop off at certain ranges. At short range, Sniper Rifles are very ineffective due to their generally slow fire rate, reload speed, and magazine size. Without the scope, Sniper Rifles also become harder to aim. Since it takes a lot of focus to use the Sniper Rifles, players can find themselves with limited awareness of their surroundings. This can leave users vulnerable to ambush by enemies. Don't let the enemy predict where you will be shooting. 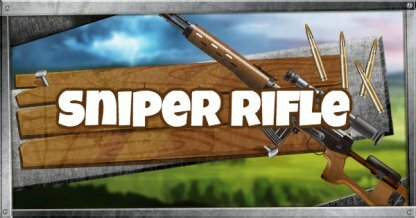 Keep changing your position to keep the element of surprise against enemies and to protect yourself from other snipers as well. In case you get cornered, make sure you have a backup weapon. Sniper Rifles are ineffective at short range so always be prepared with another weapon if an enemy decides to rush you down.